This subforum contains all the issues which we already resolved. setup: connecting belts with circuit cables and disabling all options. error description: a blueprint of this blueprint looses the disabled options and reverts to default options. 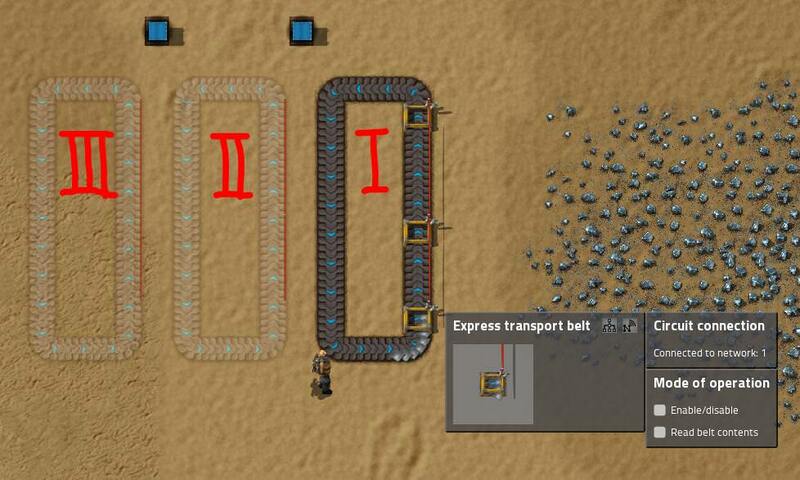 I: original belts with circuitcable connection. a blueptint is made from this original. II: the blueprint is placed but not built. a second blueprint from those ghosts is made. III: the second blueprint is placed. when it is built, the default settings of the ciruit-connected belt are applied. which means the "enable/disable" option is ticked. this behavoiur blocks the belt. this error was first discovered in 0.16.48 and persists until 0.16.51.
other entities may be affected too. Thanks for the report. It's now fixed for 0.17.